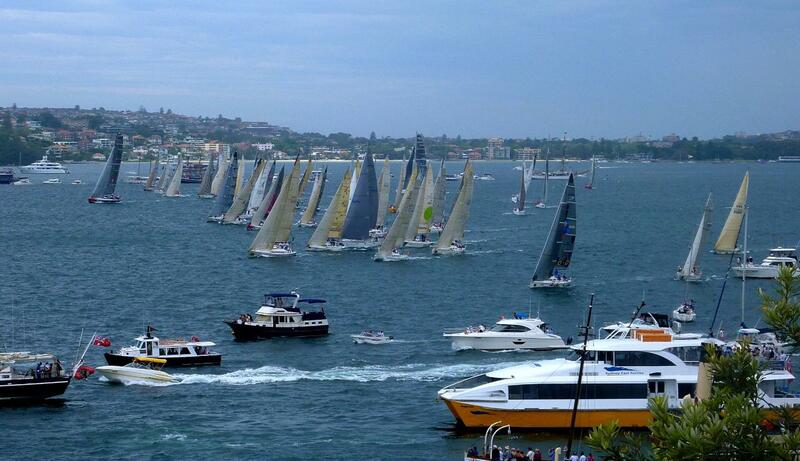 BOXING DAY - What better place to view the start of the famous Sydney to Hobart Yacht Race than from the magnificent waters of Sydney Harbour on a 100ft gaff-rigged schooner. We motor into a strategic position to get the best view of the racing yachts, and after the race has started and the Harbour clears a little, we get underway and do some sailing ourselves. This is a modern boat built and operated along traditional lines. You can do as much or as little work as you like. Either jump in and haul on ropes to hoist the sails, grab the wheel and - with the skipper's permission and supervision - guide the big ship through the Harbour, or sit back, enjoy a drink and watch the best racers in the world sail by. All you need to bring is some sun protection, a picnic lunch and refreshments. No glass or smoking please.